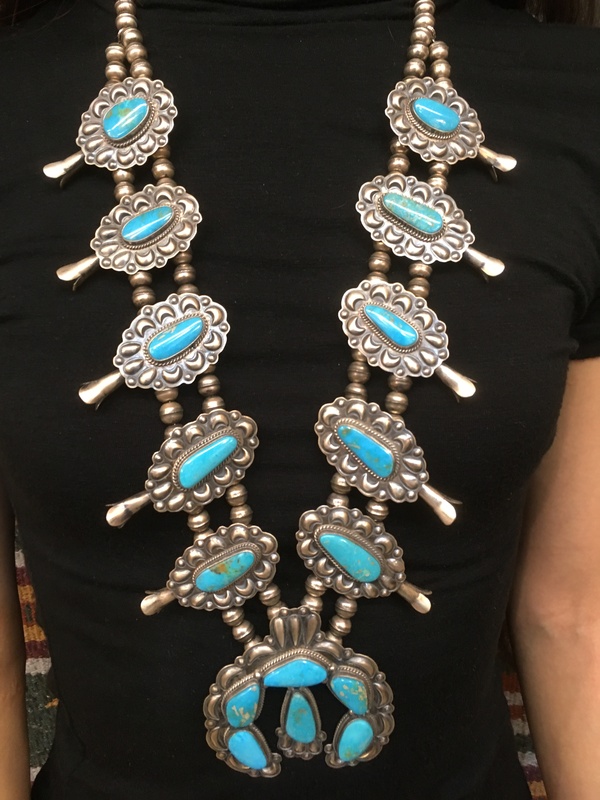 Running Bear has done it again with another classic style Navajo Native American piece. 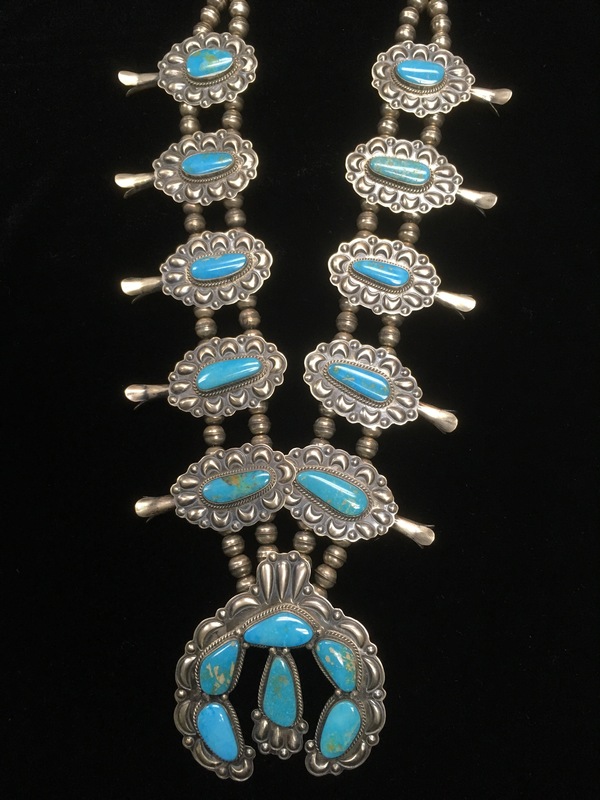 This squash blossom features dark Sterling Silver with repousse stamp work and beautiful blue Turquoise. Match it with your favorite cluster cuffs and you got yourself a Southwestern outfit! Hallmarked with the running bear stamp. 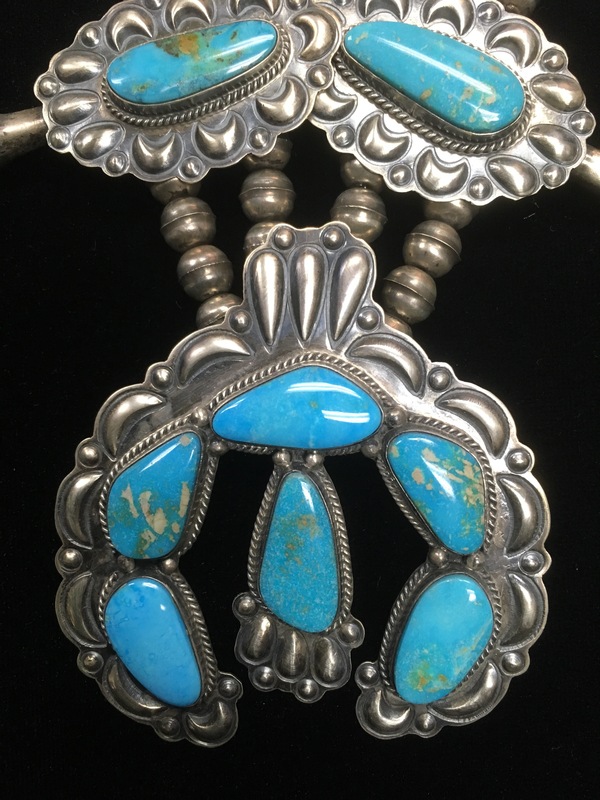 Navajo Running Bear Turquoise Squash Blossom features bold Sterling Silver repousse and Turquoise by Navajo Native American Running Bear.